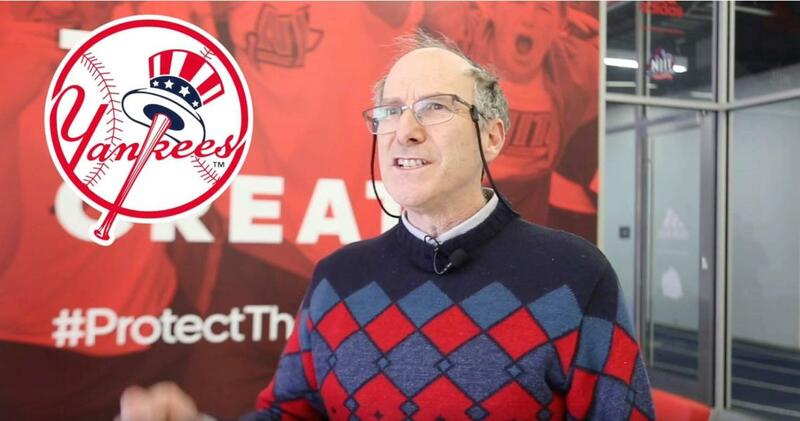 Mathematical Sciences Professor and Associate Dean Bruce Bukiet has published his model’s projections of how the standings should look at the end of Major League Baseball’s regular season in 2019. For more than 20 years, Bukiet has applied mathematical models to compute the number of regular season games each Major League Baseball team should win. His mathematically derived projections have consistently compared well with those of so-called experts. Bukiet bases his projections on a mathematical model he started developing in the late 1980s and has gone through several revisions. Among the many data points is a model of runner advancement. There are a possible 24 scenarios in which a batter may face a pitcher: three “out” situations (zero outs, one out, or two outs), and eight baserunner situations (no man on, man on first base, man on second base, man on third base, men on first and second base, men on second and third base, men on first and third base, and bases loaded). Calculating the probabilities of batter outcomes against opposing pitchers with the runner advancement model can enable one to forecast the results for each game, and thus the season. His results have been noted in many publications and he has been predictions champion at baseballphd.net several times. See more results for his baseball modeling, including the projected wins for each of the Major League Baseball teams at http://web.njit.edu/~bukiet/baseball/baseball.html and at www.egrandslam.com. Professor Bukiet’s video detailing his predictions can be viewed at https://www.youtube.com/watch?v=XYyj55MUxjQ. One of only 32 polytechnic universities in the United States, New Jersey Institute of Technology (NJIT) prepares students to become leaders in the technology-dependent economy of the 21st century. NJIT’s multidisciplinary curriculum and computing-intensive approach to education provide technological proficiency, business acumen and leadership skills. NJIT is rated an "R1" research university by the Carnegie Classification®, which indicates the highest level of research activity. NJIT conducts approximately $162 million in research activity each year and has a $2.8 billion annual economic impact on the State of New Jersey. NJIT is ranked #1 nationally by Forbes for the upward economic mobility of its lowest-income students and is among the top 2 percent of public colleges and universities in return on educational investment, according to PayScale.com. NJIT also is ranked by U.S. News and World Report as one of the top 50 public national universities.